Carpets, whether knotted or flat woven (hummas) are among the best known art forms produced by the Turks from time immemorial. There are environmental, sociological, economic, and religious reasons for the widespread art of carpet weaving among the Turkish people from Central Asia to Turkey. The geographical regions where Turks have lived throughout the centuries lie in the temperate zone. Temperature fluctuations between day and night, summer and winter may vary greatly. Turks-nomadic or pastoral, agrarian or town-dwellers, living in tents or in sumptuous houses in large cities-have protected themselves from the extremes of the cold weather by covering the floors, and sometimes walls and doorways, with carpets. 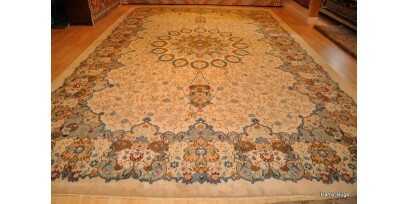 The carpets are always handmade of wool or sometimes cotton, with occasional additions of silk. These carpets are natural barriers against the cold. 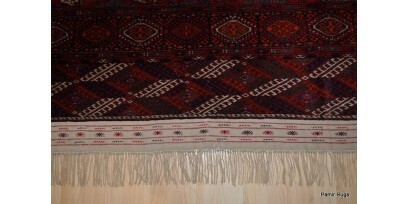 The flat woven kilims which are frequently embroidered are used as blankets, curtains, and covers over sofas or as cushion covers. In general, Turks take their shoes off upon entering a house. Thus, the dust and dirt of the outdoors are not tracked inside. The floor coverings remain clean, and the inhabitants of the house, if need be, can comfortably rest on the floor. In the traditional households, women and girls take up carpet and kilim weaving as a hobby as well as a means of earning money. Even technological advances which promoted factory-made carpets could not hamper the production of rug weaving at cottage-industry level. Although synthetic dyes have been in use for the last 150 years, handmade carpets are still considered far superior to industrial carpeting. The Ottoman Turks used spindles for additional handmade use. 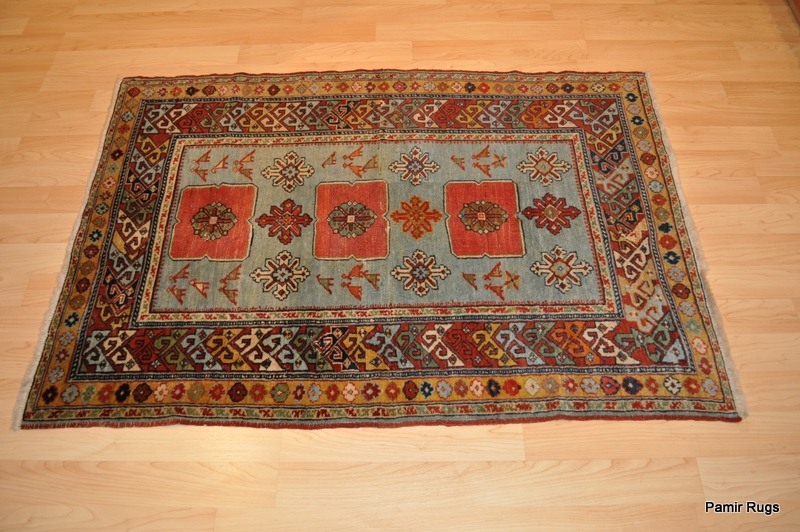 Turkish carpets are among the most sought after household items all over the world. Their colors, tones, and patterns with traditional motifs have contributed to the status that Turkish carpets have maintained since the 13th century. Marco Polo, who traveled through Anatolia in the late 13th century, commented on the beauty and artistry of the carpets. A number of carpets from this period, known as the Seljuk carpets, were discovered in several mosques in central Anatolia. These were under many layers of subsequently placed carpets. These Seljuk carpets are in the museums in Konya and Istanbul. Turkish carpets in the 15th and 16th centuries are known through European paintings. For example, in the works of Lotto (15th century Italian painter) and Hans Holbein the Younger, Turkish carpets are seen under the feet of the Virgin Mary, or in secular paintings, on tables. In the 17th century, when the Netherlands became a powerful mercantile country, Turkish carpets were purchased by the Dutch. The Dutch painter Johannes Vermeer represented Turkish carpets predominantly to indicate the economic and social status of the persons in his paintings. Turkey carpets, as they were known, were too valuable to be put on floors, except under the feet of the Holy Mother and royalty. There are no chairs or benches in a mosque, only carpets. A Turkish mosque is often covered from wall to wall with several layers of carpets. 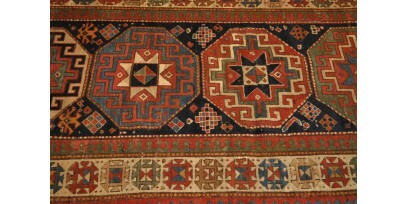 The Turkish carpets have colors, motifs, and patterns. No two carpets are the same; each one is a new creation. Traditionally unknown women have woven the carpets; this is one art form that is rarely appreciated as being the work of a known or a specific artist. Wool on wool (wool pile and wool warps and wefts): This is generally the least expensive type of carpet, but often the most "authentic" if such a word can be used. Wool on wool carpets have been made much longer and use more traditional designs than the other types of carpets. Because wool cannot be spun finely, the knot count is often not very high, compared to wool on cotton and silk on silk. High knot count is also not necessary for wool on wool carpets because they are often traditional geometric designs, or otherwise non-intricate patterns. Wool on cotton (wool pile on cotton warps and wefts): This type of carpet can be much more intricate than wool on wool carpets because cotton can be spun finely and the knot count is generally much higher. 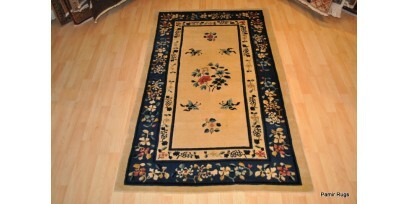 In wool on cotton rugs, floral designs etc. are also found, in addition to the geometric patterns. Silk on silk (silk pile on silk warps and wefts): This is the most intricate type of carpet with very fine weave. Knot count for silk carpets intended for floor coverings should be no greater than 100 knots per square cm, or 10 X 10 cm² and can be as fine as 28 X 28 knots/cm². Any carpet woven with the knot count greater than 10 X 10 knots/cm² should only be used as a wall or pillow tapestry. These very fine, intricately woven carpets are no larger than 3m X 3m. 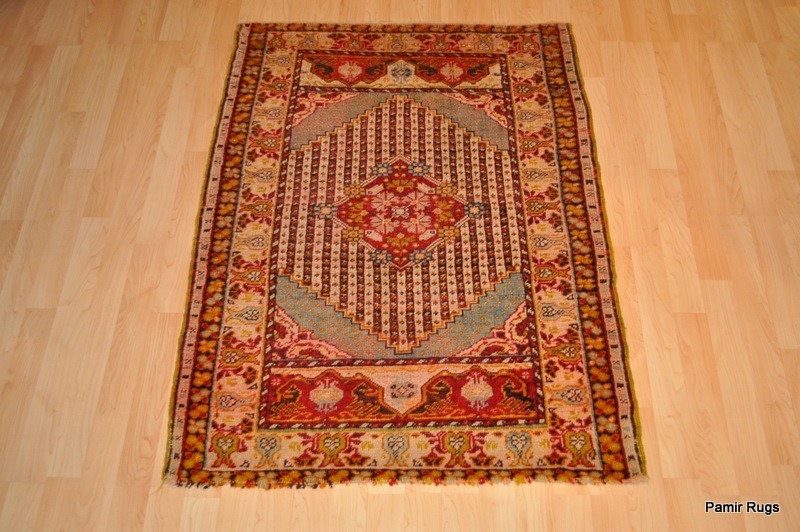 Carpets can be made with natural or chemical dyes. With wool on wool and wool on cotton carpets, natural dyes are preferable. Natural dyes do not bleed when it gets wet and when you wash the carpet. This can be very important, especially when you are buying a carpet with white in it, because other colors will bleed into the white and make it look very ugly. There are a couple tests that you can do on the carpet to test whether they use chemical or natural dyes. The first is to have a fairly damp white cloth and rub it against the carpet. If the color is natural dye then only fibres will come out, and that will be the only color that leaves the carpet, while if chemical dyes are used, color will actually bleed into the whiteness of the cloth, as well as little pieces of wool coming off. Natural dyes are more expensive than chemical ones and the price of the carpet will thus be higher. Remember to do this test on each color of the rug, especially if you are doubting the authenticity of the natural dyes, because its possible that some colors in the rug are natural, others chemical. Another way to tell if a carpet is natural or chemical dyes, is how it fades. This is especially noticeable if the carpet has been out in the sun for any extended periods of time. You open up the carpet to see the bottom of the thread, often by bending the carpet in half, or just opening it up with your fingers. If the thread near the bottom of the knot is a different shade of color than the top of the thread, it is a chemical dye. Silk carpets are almost always made chemical dyes. Dead wool is cut after the sheep has died, and the wool is harsh and rough because it has lost its natural oils. Live wool is sheared when the sheep is alive, and retains the natural oils. 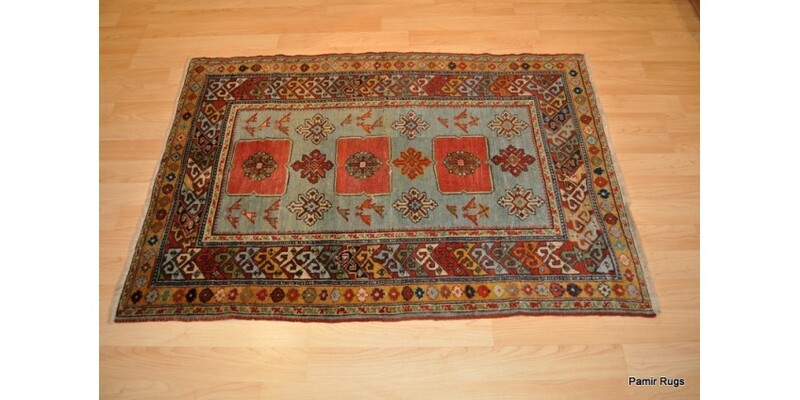 Most Turkish Carpets are made of live wool because it is finer and not as rough. This is only applicable to wool on wool carpets. Machine spun wool is much tighter spun than handspun, one would think this is a good thing but because its much tighter, and wool is not very strong, many of the wool fibers snap while they do this, which limits the lifetime of the carpet. Handspun increases the hours of labor and the price accordingly, but it is not spun as tightly as machine spun so the lifetime of the carpet is longer. Now how to tell whether your rug is handspun or machine spun. The only way to do this is to flip the carpet over and look at the weave. If all the little squares are exactly the same size, then its machine spun. If there are size differences in the squares then it is handspun. It is very difficult to find handspun carpets, especially in the big cities. Anatolia has a weaving culture. The carpets derive their names from the localities in which they were produced, as well as from the techniques of their manufacture, the characteristic patterns of their ornamentation, the layout of the design, and the color scheme.